I made another pasta recipe! 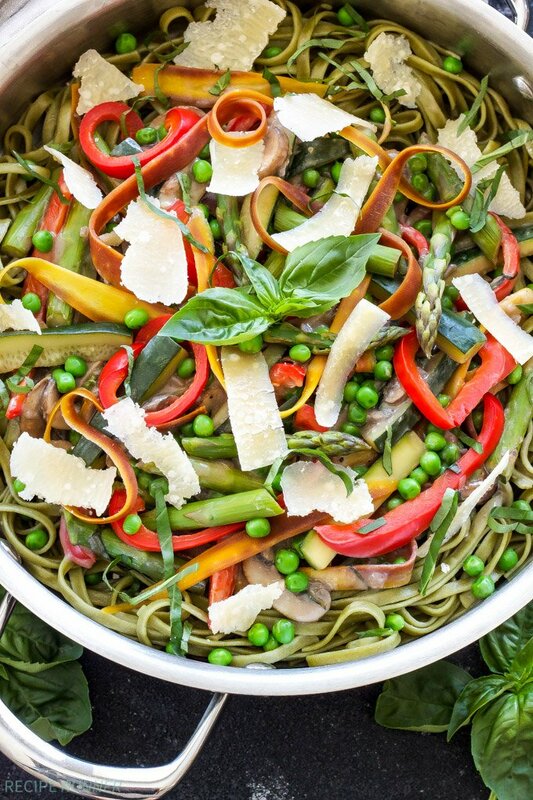 I know they’re far and few between, but I’ve been seeing so many beautiful spring inspired versions around the web that I couldn’t resist making one of my favorites, Pasta Primavera! 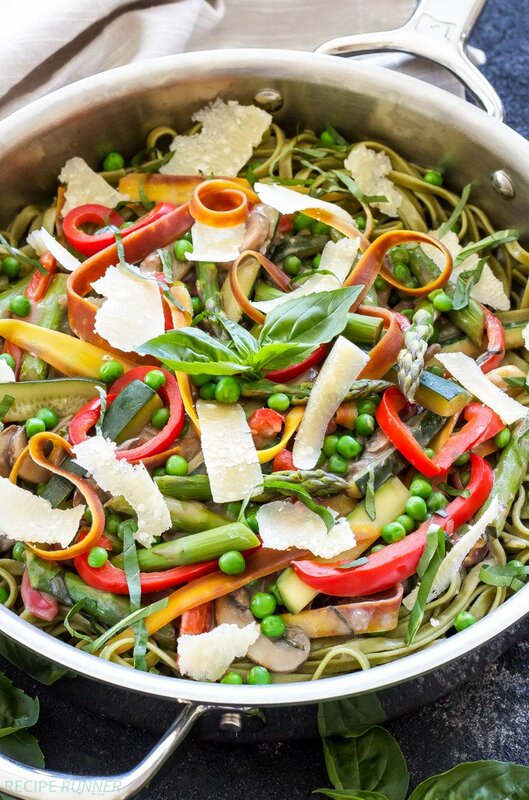 In case you didn’t know, Primavera translates to spring, so this pasta dish literally means spring pasta. 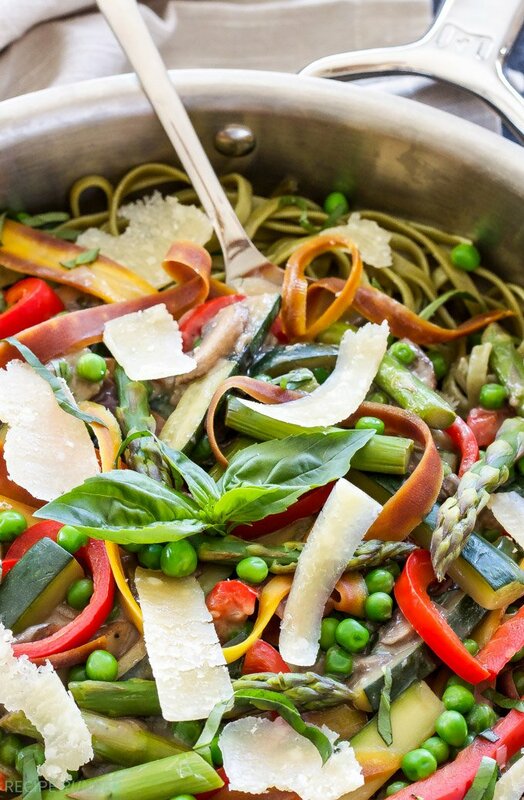 The recipe for this Pasta Primavera is adapted from the version my mom makes. Her version sticks to using just a few vegetables; carrots, celery, peppers, onion and peas. It’s more simplistic, which I’m sure is why I loved it so much when I was a kid. My version I decided to bump up the variety and amount of vegetables and use all my favorites that I can’t get enough of when spring rolls around. My version of Pasta Primavera includes asparagus (of course), zucchini, mushrooms and all the other vegetables minus the celery that my mom’s recipe called for. The pasta portion of this recipe calls for fettuccine, but feel free to use what you have in your pantry. When I was at the store I couldn’t resist buying spinach fettuccine for that pretty spring green color! 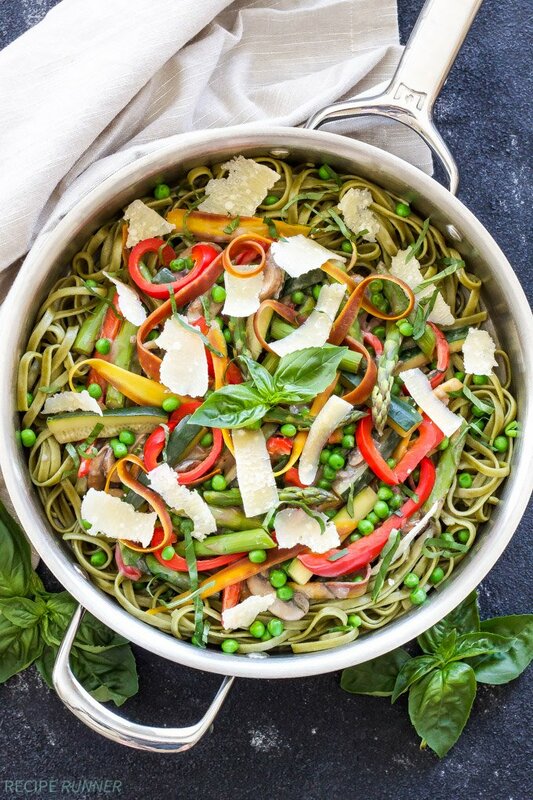 The combination of that green fettuccine with all the bright colorful vegetables makes this pasta dish a real showstopper! The sauce for the pasta is a light béchamel or white sauce that can be made with either cow’s milk or dairy-free almond milk, I’ve used both and hardly notice a difference. The pasta is topped off with fresh basil and shavings of parmesan cheese for the perfect plate of spring comfort food. 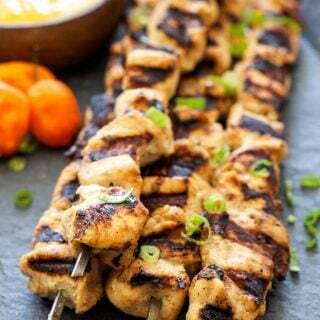 Today I’m sharing this light and delicious recipe over on Spoonful of Flavor. 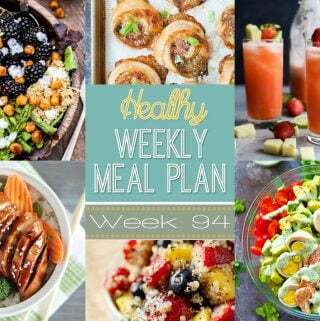 Head on over and grab the recipe! 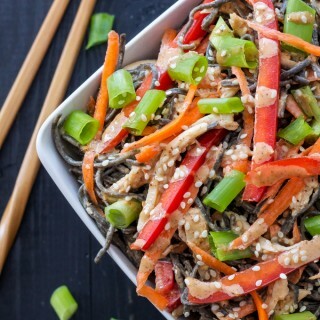 What a perfect way to use up those beautiful spring veggies! Love it!